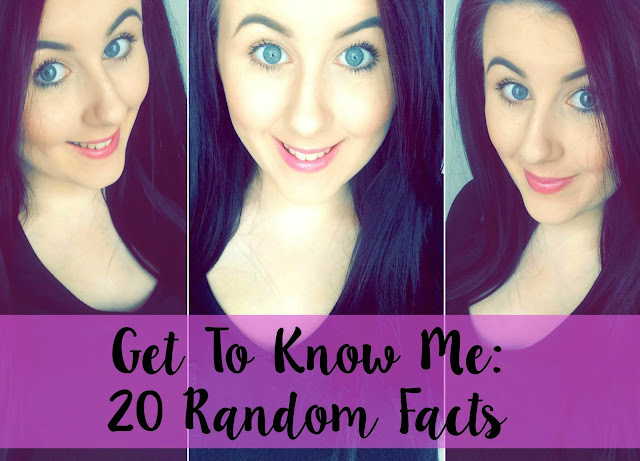 I have been blogging for nearly two years now and I recently realised I have never done a get to know me post or a random facts post so I thought it was about time I changed that. I can't believe I have been running EmmysBeautyCave for nearly two years, It has gone so fast. Most of you who read my blog will know I started my blog due to being off long term sick for the past two years after having major reconstruction surgery. If it wasn't for my blog I don't know how I would of coped. #1. I was born in Reading but moved to Lancaster (North West) when I was four with my parents. The rest of my family are all still in Reading. #2. Im 24, yes 24 I feel so old but when I was at the hospital a few weeks ago with no makeup on someone thought I had only recently left school!! #3. I have a sister 8 years older than me. #4. I have a nephew who is 9. #5. I have 3 tattoo's, definitely want more! #6. Im obsessed with Disney, Little Mermaid is my ultimate fave. #7. I HATE vegetables, I never liked them when I was young and I still don't now. #8. I have been in a long term relationship for over 6 years. #9. Im scared of goldfish, I don't know why but I can't even look at them. Even on TV I can't look at them! #10. Im the joker, I would rather make a joke and make people laugh than sit and cry it's just how I am. #11. I have been hit by a car, it wasn't pleasant and is the reason I have needed surgeries. #12. I am clumsy, I literally end up in A&E on a yearly basis. From falling downstairs, burning myself, Appendix and plenty more! #13. Im only just starting to feel confident in my own body, im a size 14 have a small waist but wide hips... Jeans hate me! #15. On my 18th birthday I went to a cash point, walked back to the car got in to find I had sat in someone else's car! My mum and sister watched me the whole time and didn't stop me!! #16. I don't know what im going to do next career wise when im mobile and fit to work again. #17. Im going to NY in November and haven't been more excited! #18. I love concerts, I have seen Usher, Rihanna, Jason Derulo, Enrique and will be seeing Justin Bieber in October. #19. I have been to Cuba, Malta, Cyprus, Ibiza, Mallorca and Jamaica. #20. Cheese is my life, I can't get enough especially Halloumi!